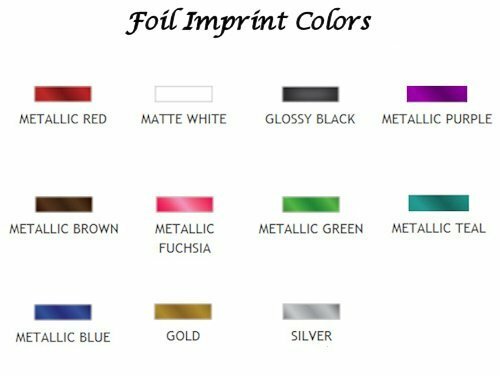 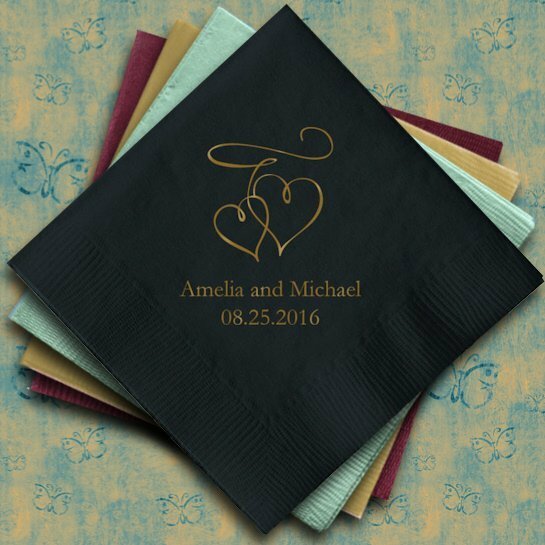 Choose from tons of colors to match your wedding color scheme. 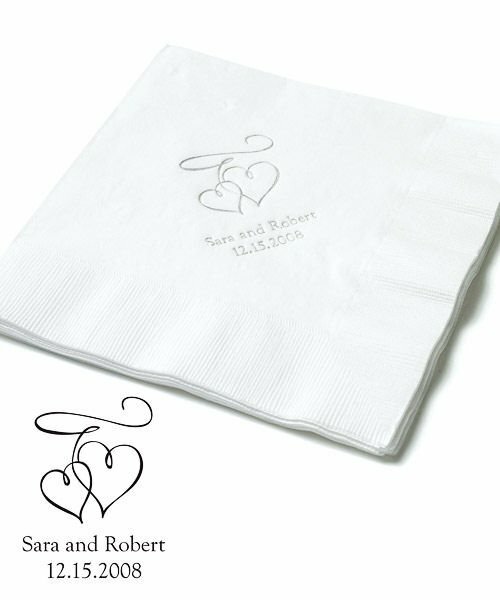 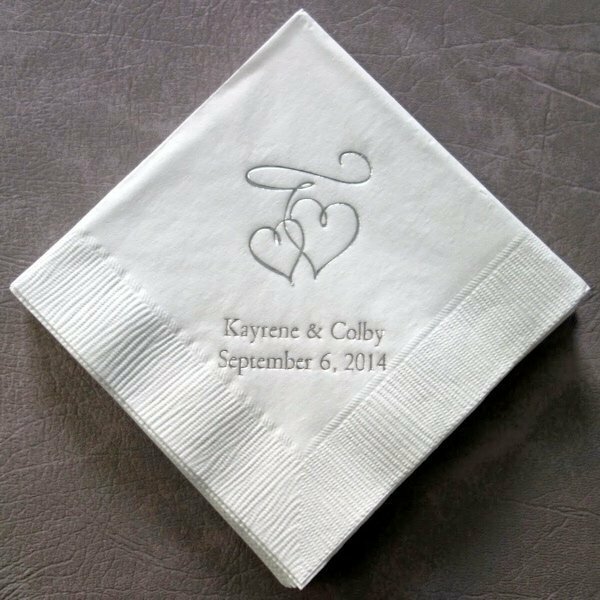 These 3 ply personalized wedding napkins are available in dinner, luncheon and a beverage size. 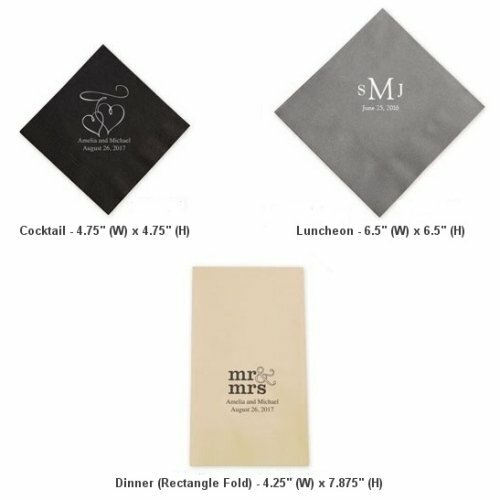 We sell them in sets of 100 (dinner size come in sets of 80). 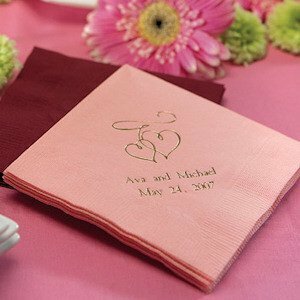 Napkins are imprinted in your choice of color too. 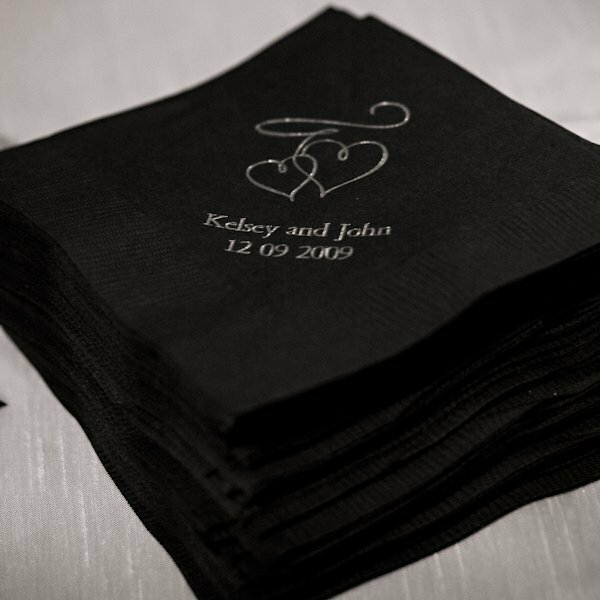 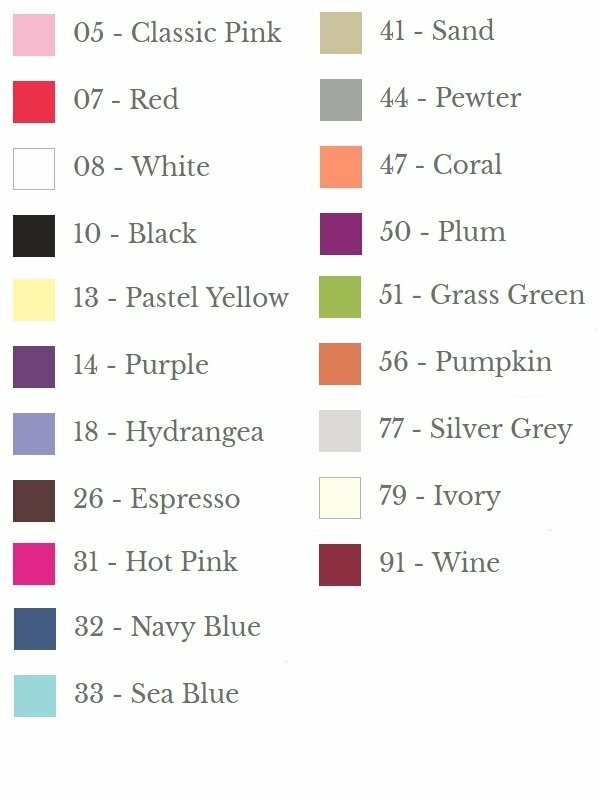 What better way to add a festive touch to your cocktail hour and wedding reception than with our personalized napkins using you names and color scheme?